News on Damon Albarn's virtual band Gorillaz had been sparse and few this year, but the latest snippet of information may just make a fan's day. Jamie Hewlett has confirmed that there will be a new Gorillaz album out in the future, but only after Damon's main band Blur has put out their new record. Jamie revealed the new Gorillaz plans that he and Damon discussed for the future whilst speaking at a launch event for the pair's opera 'Monkey Journey To The West' in New York city recently. 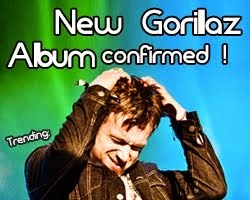 A fan that attended the event claims that Hewlett talked about the future of Gorillaz, but admitted he would have to wait for Blur to make their album first. 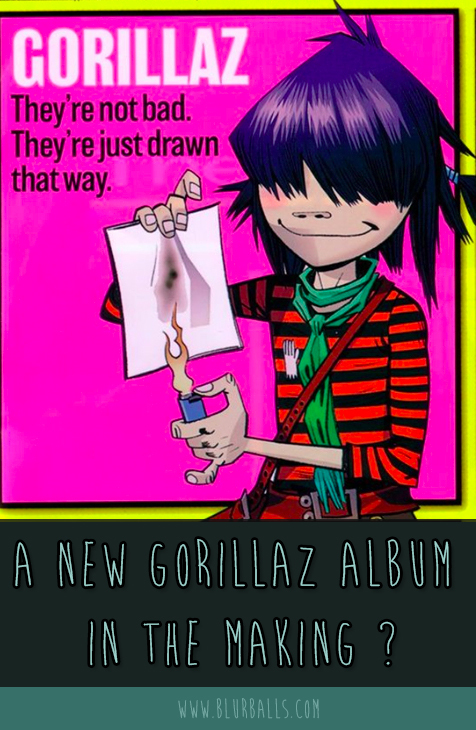 The fan on Gorillaz fan-site Gorillaz-Unofficial claims that Jamie Hewlett said: "There’s a five- year gap between the albums because they take a long time to do and and they’re very exhausting and when you’re finished you feel like you need to go do other stuff." Jamie also added: "So Damon’s touring with Blur – he's doing a world tour with Blur at the moment and then they’re working on a new album so there isn’t really time for him, and I’m doing other stuff as well. So I think it’s, um, we’ll come back to it when the time’s right." The Gorillaz animator and comic artist also talked about how difficult it will be for a new Gorillaz record to be commercially successful. He is reported to have said that "the music industry’s changed so much since we started doing Gorillaz. There’s no money in the industry so you know you get these amazing new bands, like The Strypes from Ireland, kind of 14 years old [sic], you know, the best rhythm blues guitarist you’ve ever seen. Age 14, make songs and film it in their bedroom. It doesn’t cost anything, and so Gorillaz is kind of expensive. It’s expensive to do because it’s animated." Damon Albarn and Jamie Hewlett had previously released four Gorillaz albums, including the commercially successful 'Demon Days' in 2005 and their latest, semi-experimental 'Plastic Beach' record in 2010. The musical pair had a fall-out late last year, but is currently reported to be on good terms. During Blur's world tour show in the Asia World Expo at Hong Kong, Damon Albarn announced to the audience that the band were heading back into the studio. "So we have a week in Hong Kong, and we thought it would be a good time to try and record another record," he said at the time. 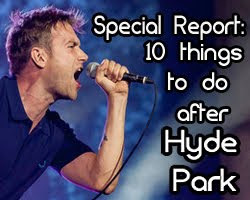 Blur are reported to have made a demo tape during their week in the city, using up time that would have been spent rehearsing for the cancelled Taiwan gig. 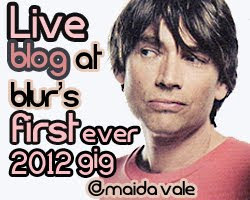 Additionally, Alex James recently reported that Blur's new recording sessions are going "very well". Will there be a new Gorillaz album out? 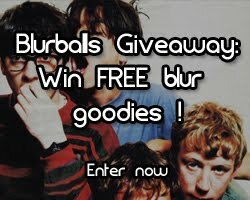 What's next for Blur and Gorillaz? 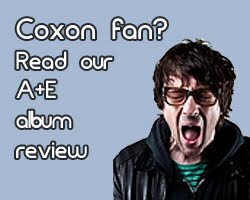 Will there be two new studio albums released, one after the other? Or will plans suddenly change yet again? 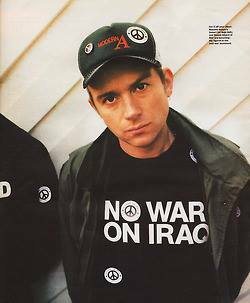 And what about Damon Albarn's solo album that is still the making? The original report is not official, and the confirmation claims are based on a fan comment - to what extend are the rumours true? 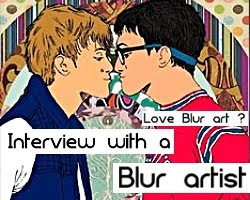 All that is official for now is that Blur will be heading to Dublin's Irish Museum of Modern Art on August 1st 2013 to play their only show in the British Isles this year. The date marks Blur's first show in Ireland in four years.